DIRECTIONS: From I-70, take exit 26 and head south on Route 50/Route 6. 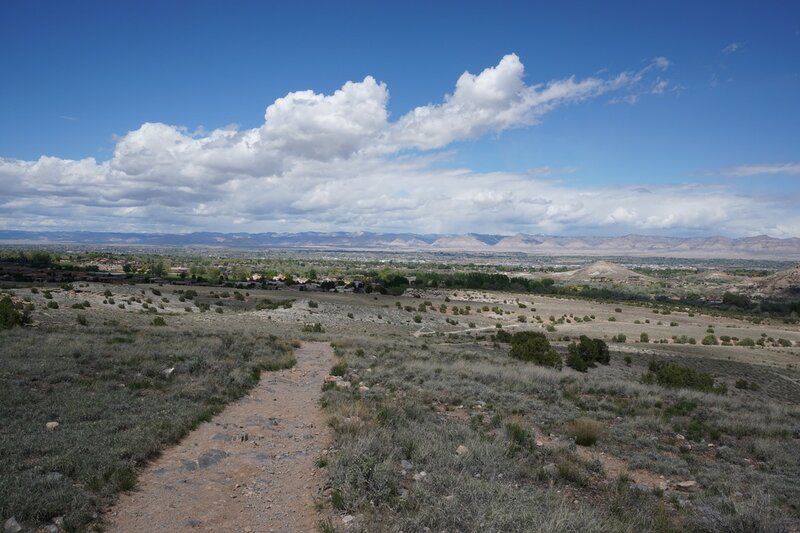 Turn left onto Patterson Road and Right on 24 Rd. Cross over Route 50 and 24 Road will become Redlands Parkway. Continue heading west on Redlands Parkway which will become S. Broadway. Turn left on Wildwood Road and follow it to the sign for Wildwood Trailhead. Turn right into the parking area. 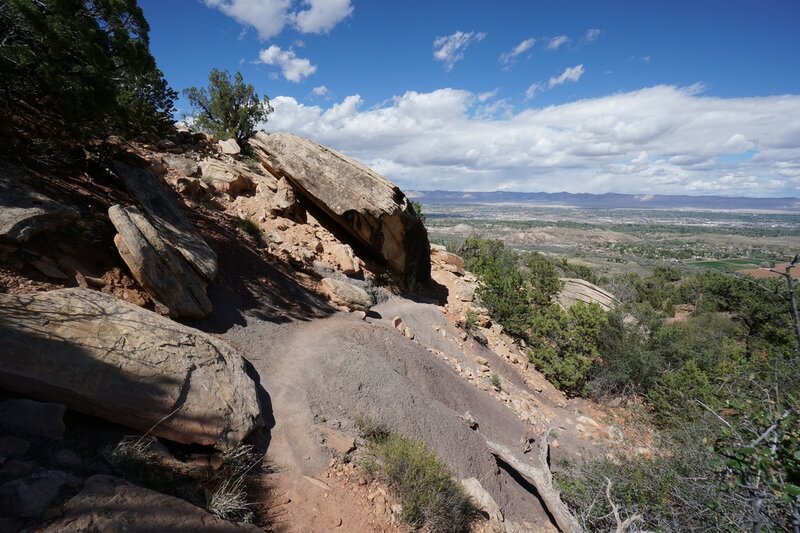 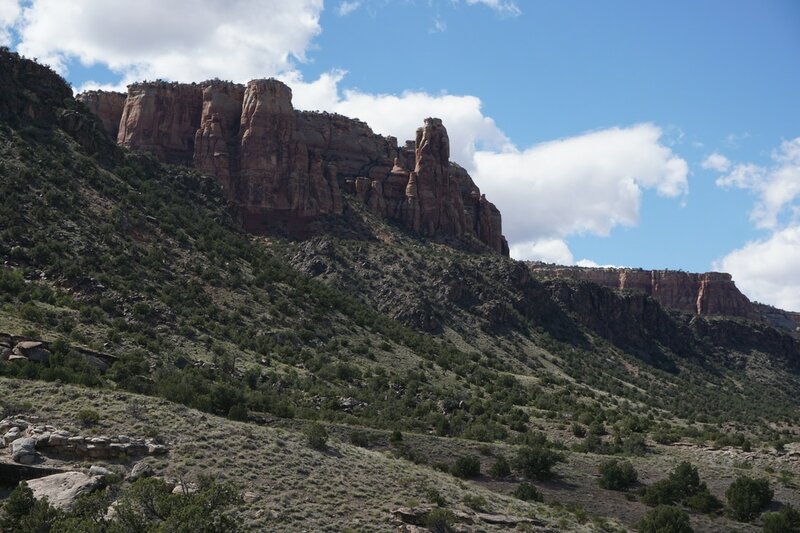 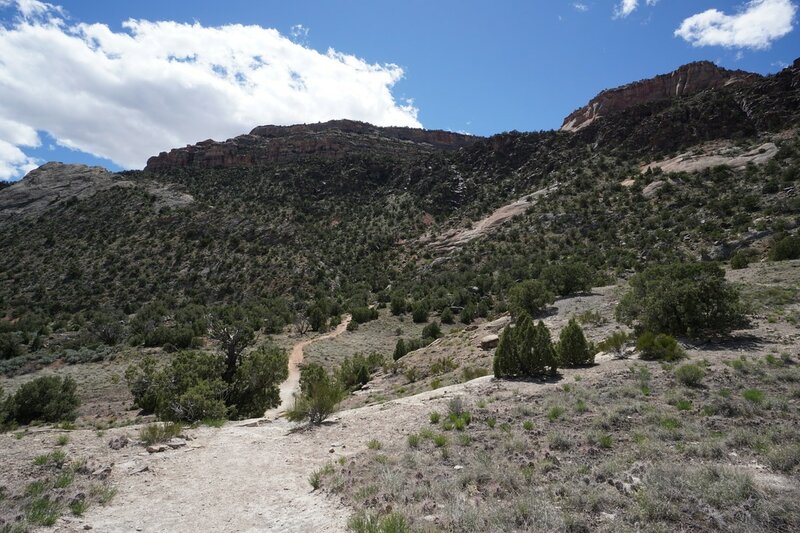 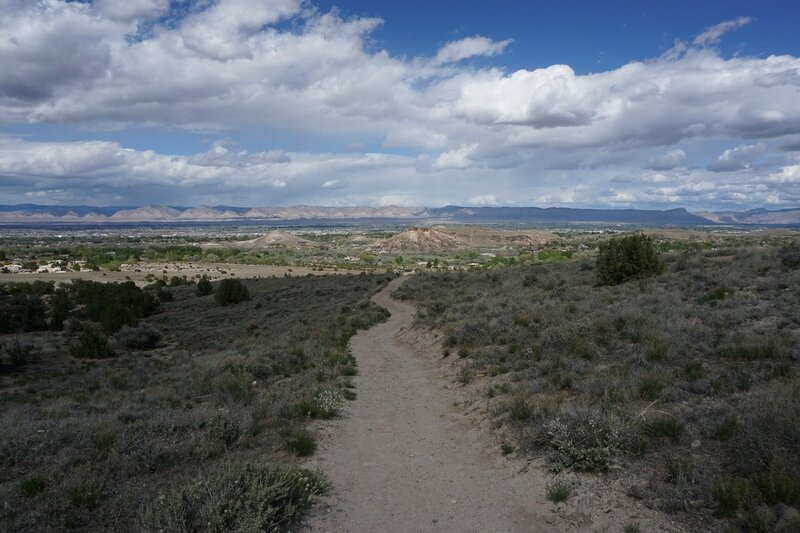 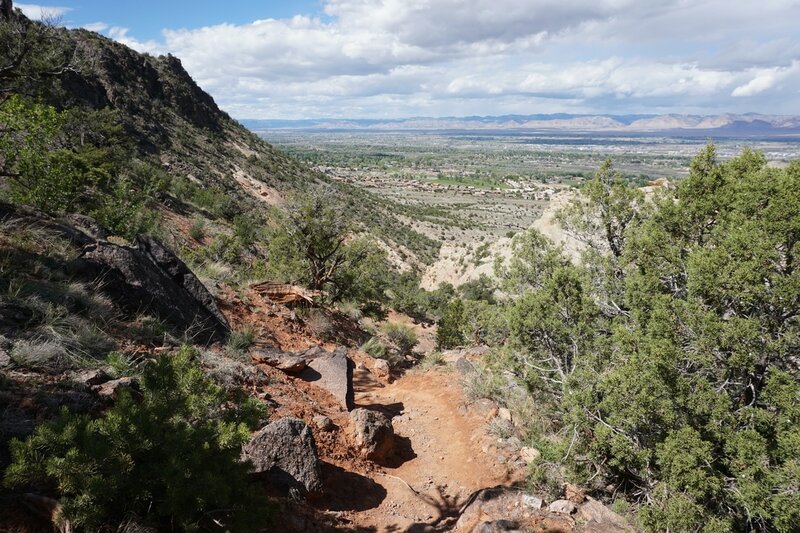 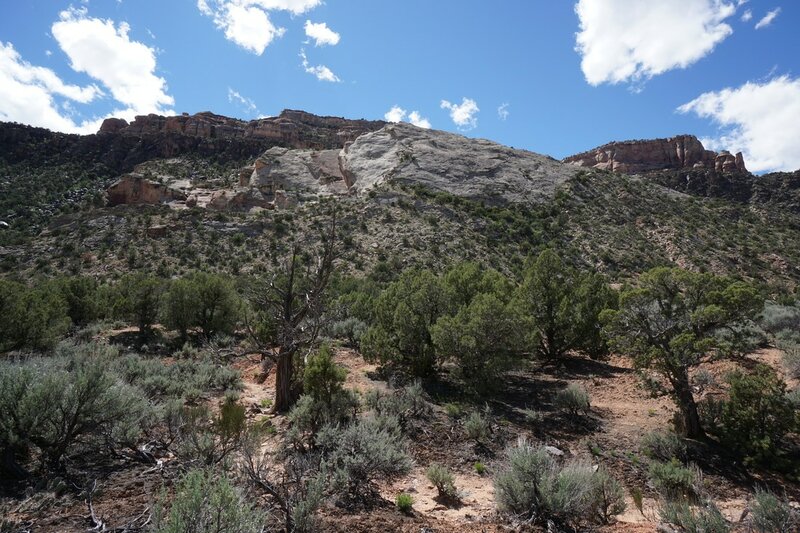 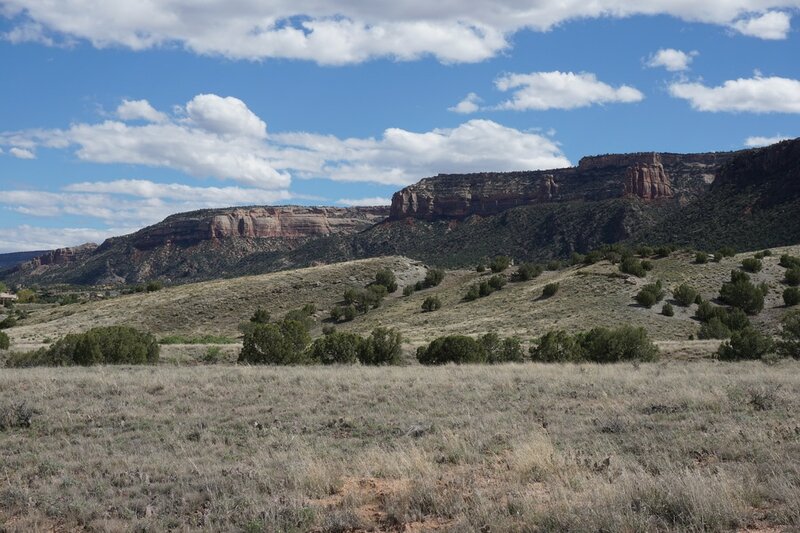 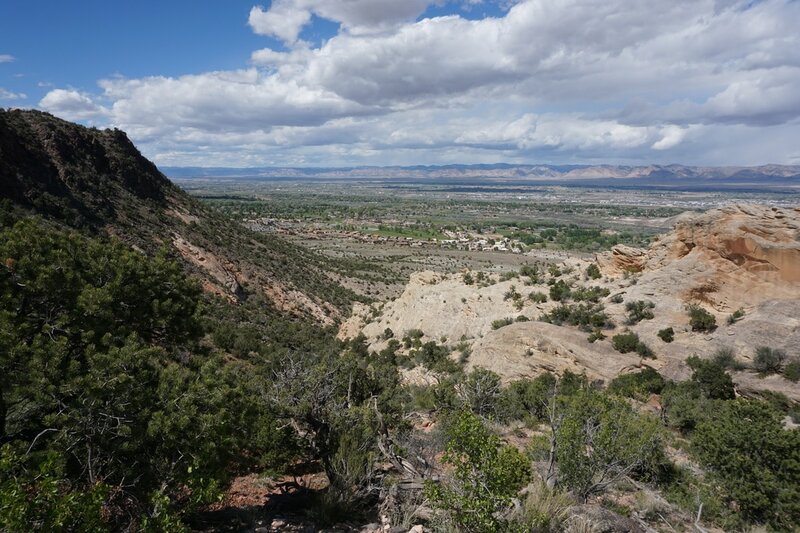 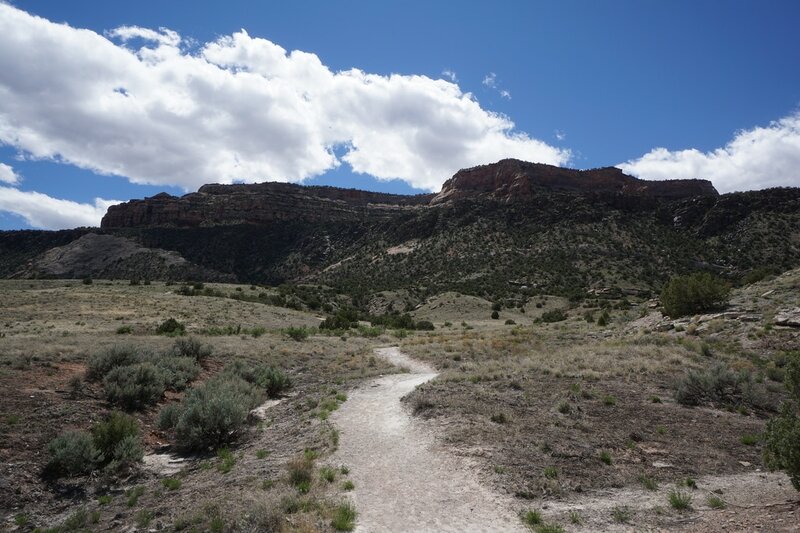 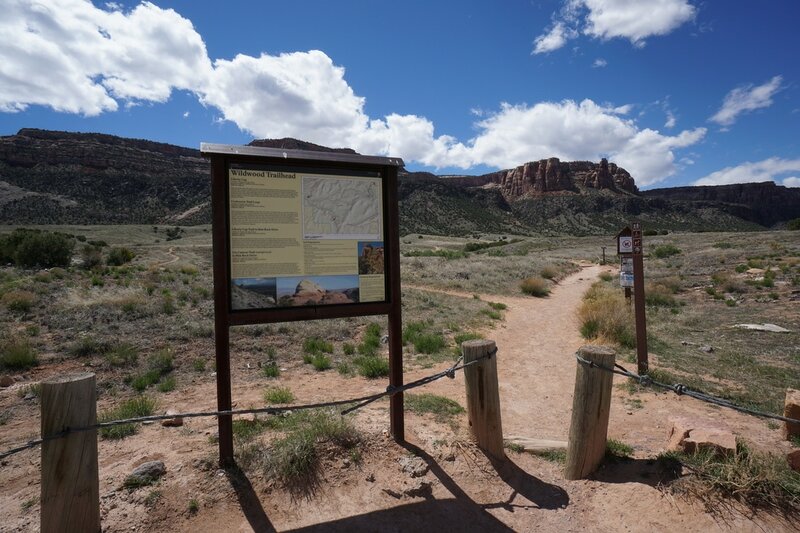 The Corkscrew Trail makes a nice 3 mile loop with the Lower Liberty Cap Trail, just on the outskirts of Grand Junction's residential neighborhoods. 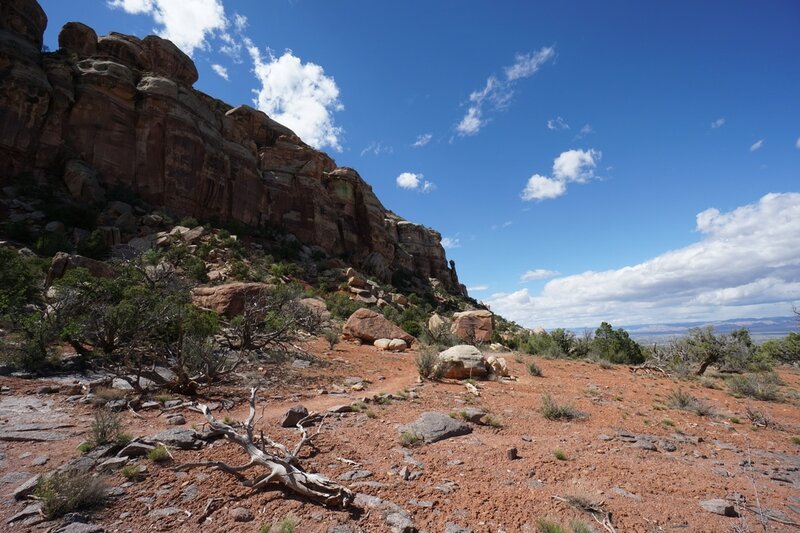 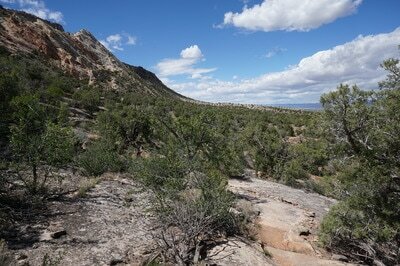 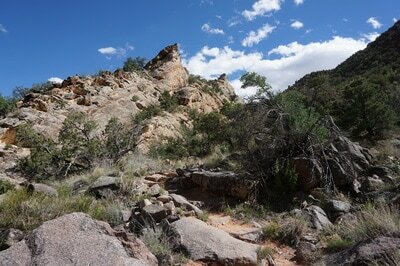 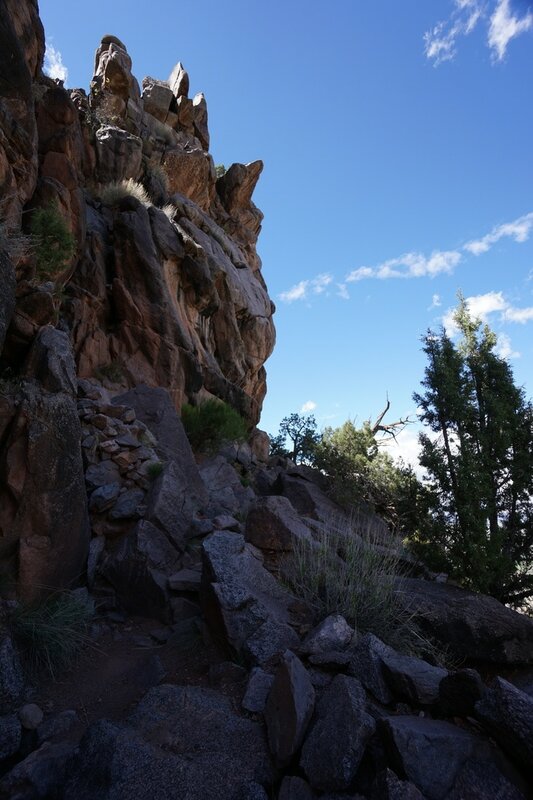 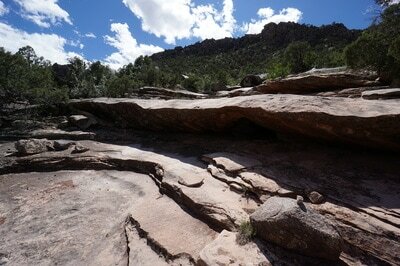 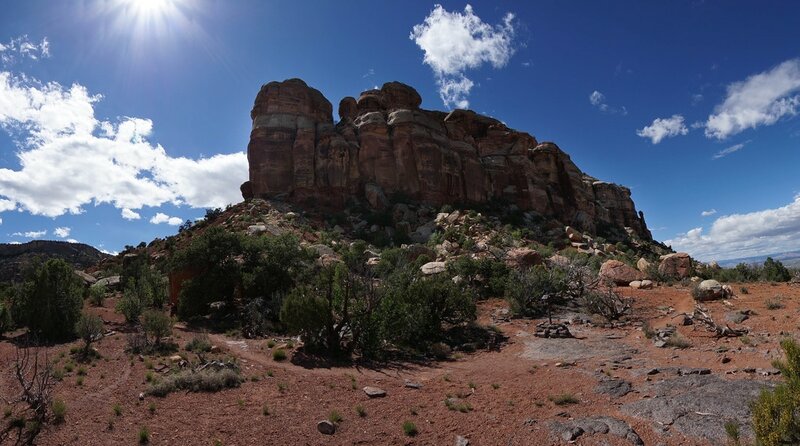 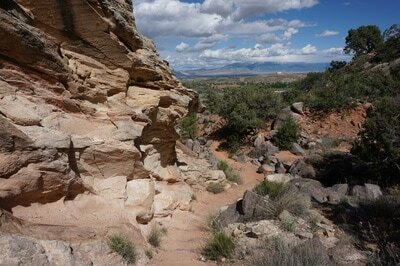 The trail climbs up to a beautiful ledge under towering red rock formations. 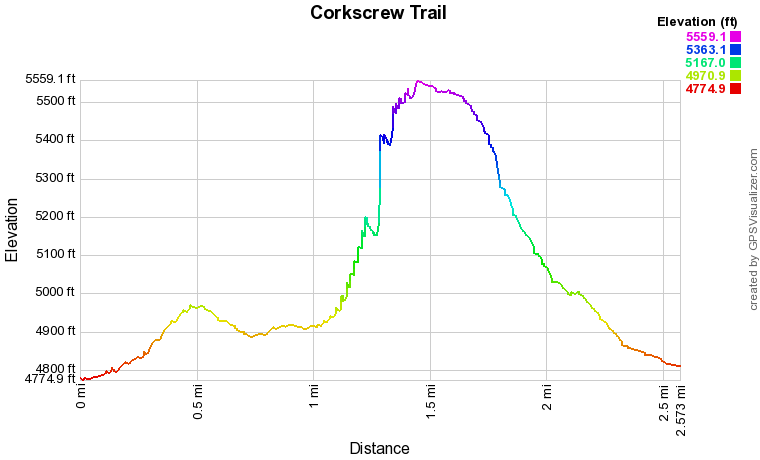 The Corkscrew Trail is so named due to the series of switchbacks that take you up to the ledge. 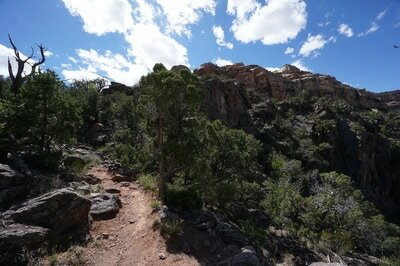 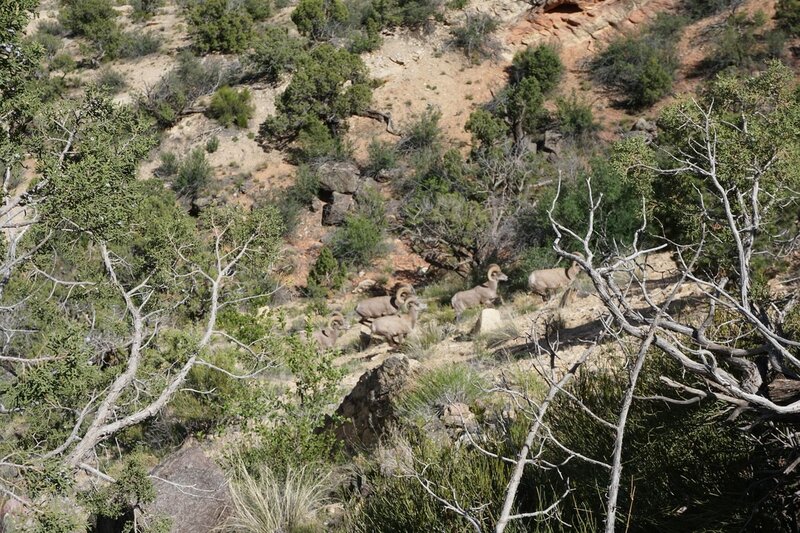 In some spots the trail is narrow and cut into red rock cliff-sides, a spectacular adventure. 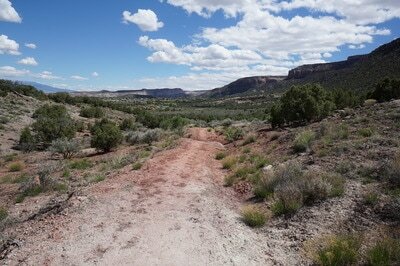 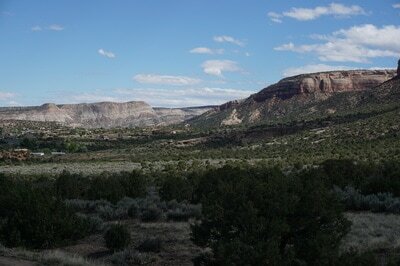 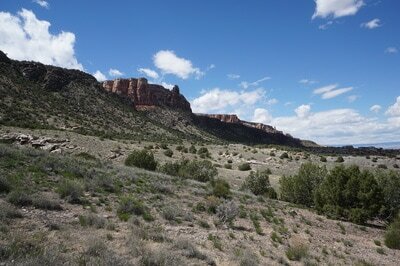 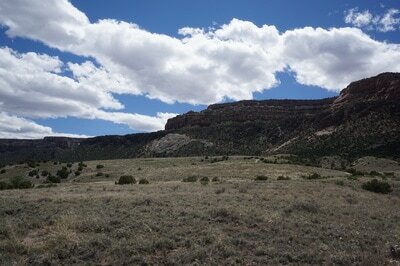 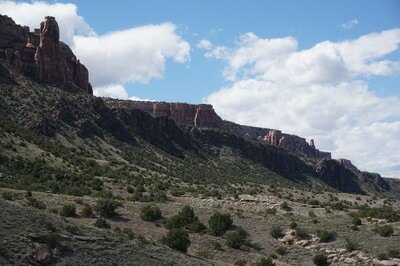 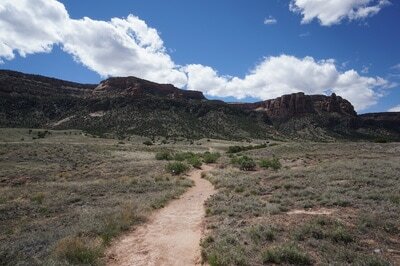 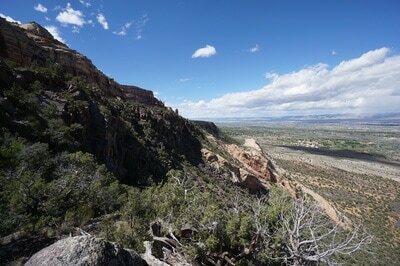 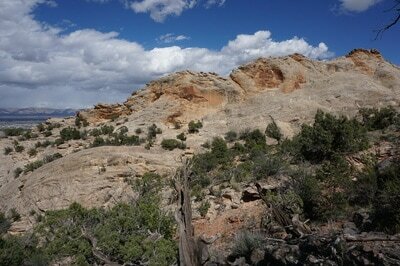 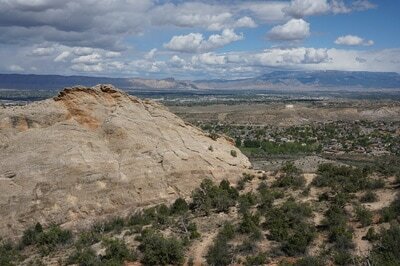 From the parking area, head west towards the looming cliffs on the Liberty Cap Trail. 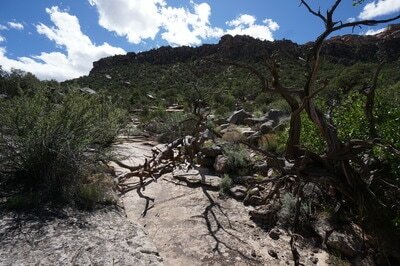 After a short stroll through the desert landscape, turn right on the Corkscrew Trail heading south. 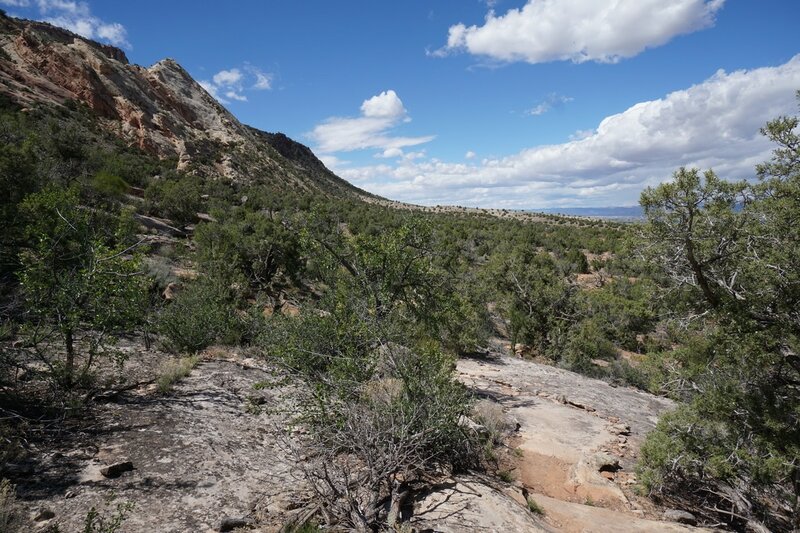 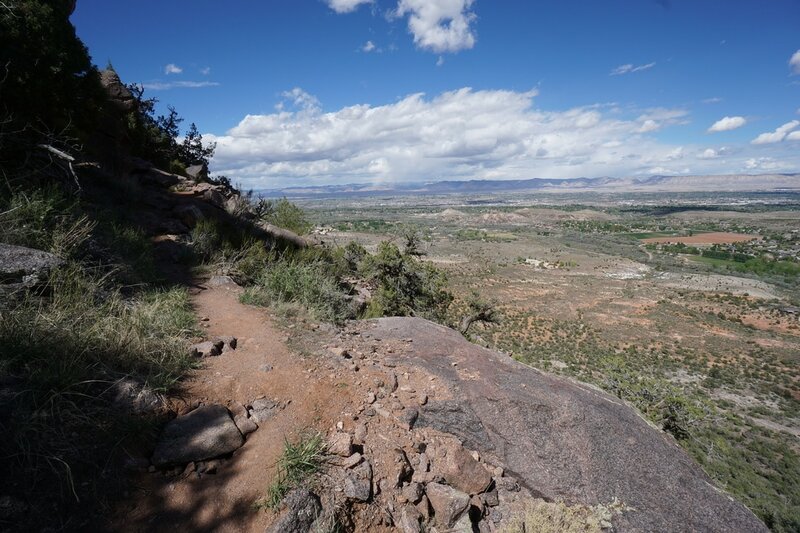 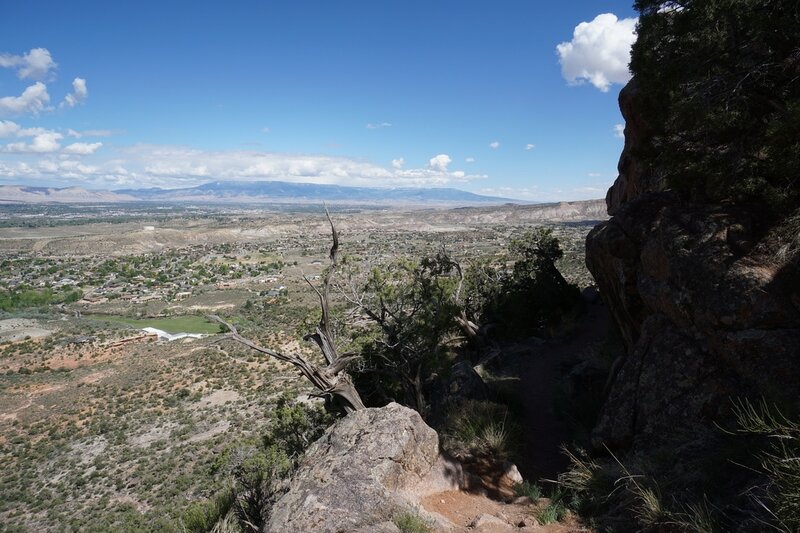 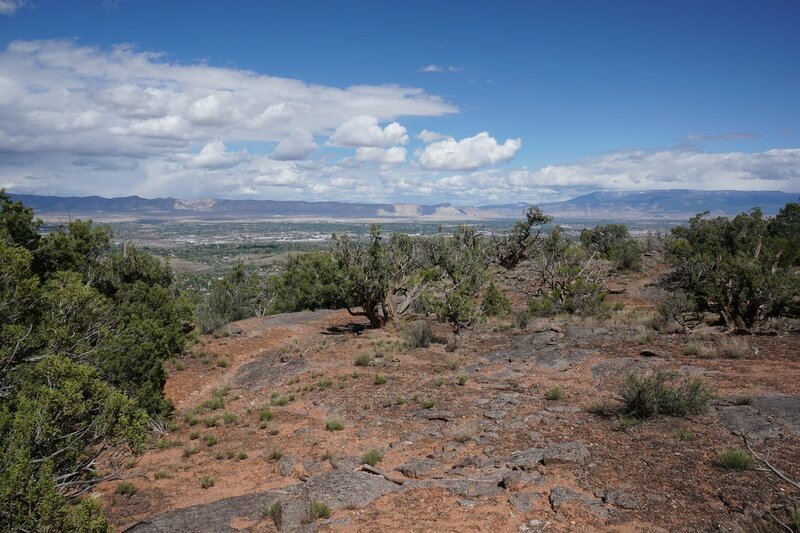 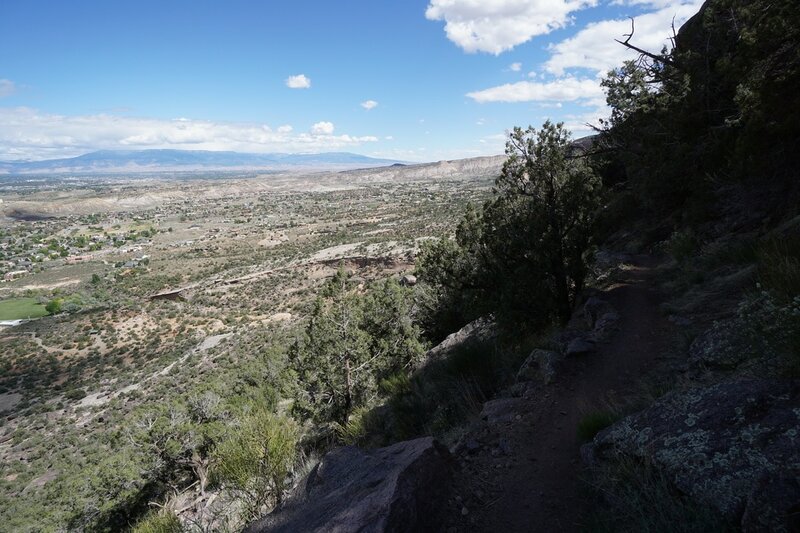 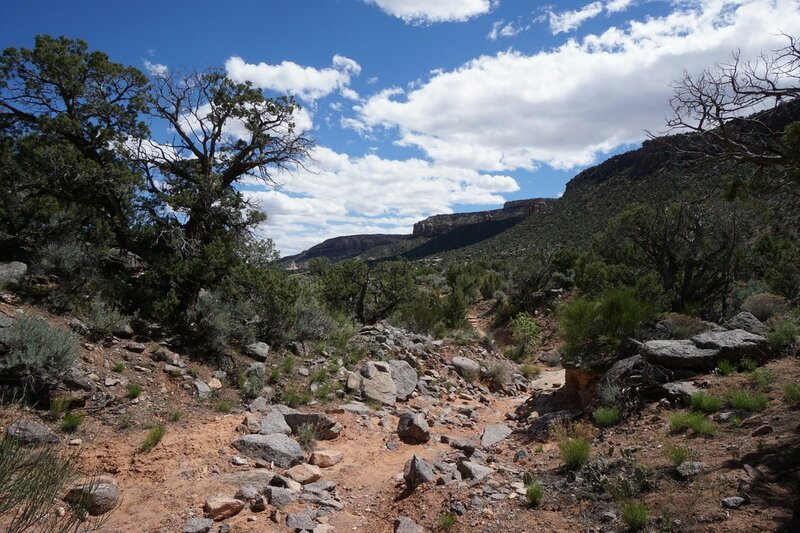 The trail will dip and climb through scrub oak desert and natural rock gardens. 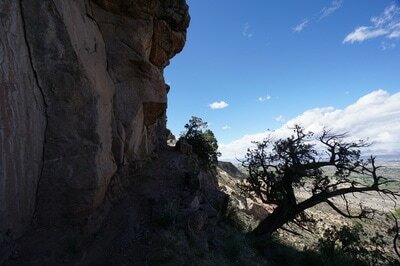 Eventually, the trail will turn west and start climbing up to the ledge. 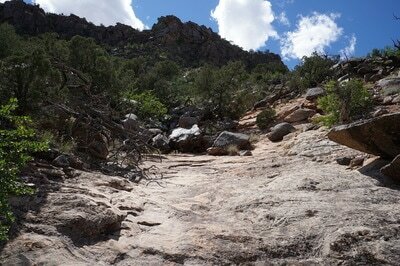 NOTE: There is a dry wash that will seem like the trail. 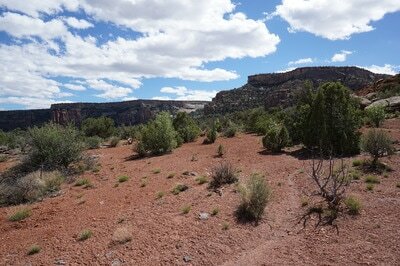 It is easy to mistakenly start hiking up the wash, as I did. 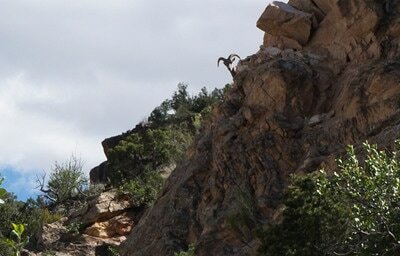 This is NOT the way to go. However, if you find yourself climbing up the wash don't fear, if you keep climbing and scrambling you will intersect with the Corkscrew Trail, but you'll miss the section that gives the trail it's name. 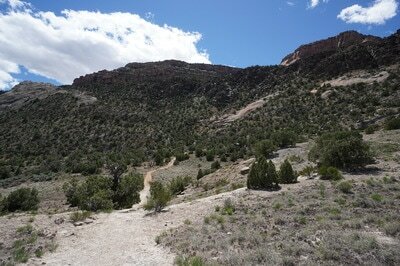 The wash meets up with the trail at a point where the trail is directly up against the cliff-side. 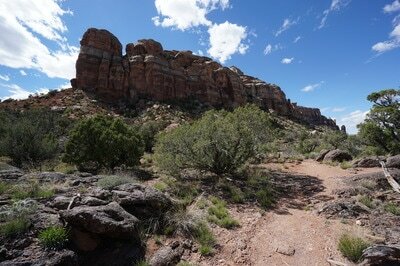 This is a wonderful portion of the trail, a steep drop to the east and cliffs to the west. 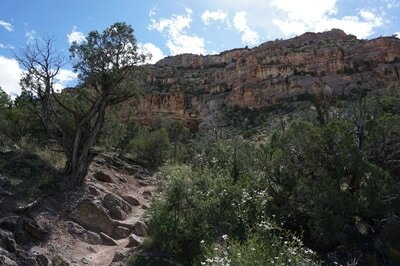 The trail heads north along the cliffs and again, switchbacks up to the top of the ledge. 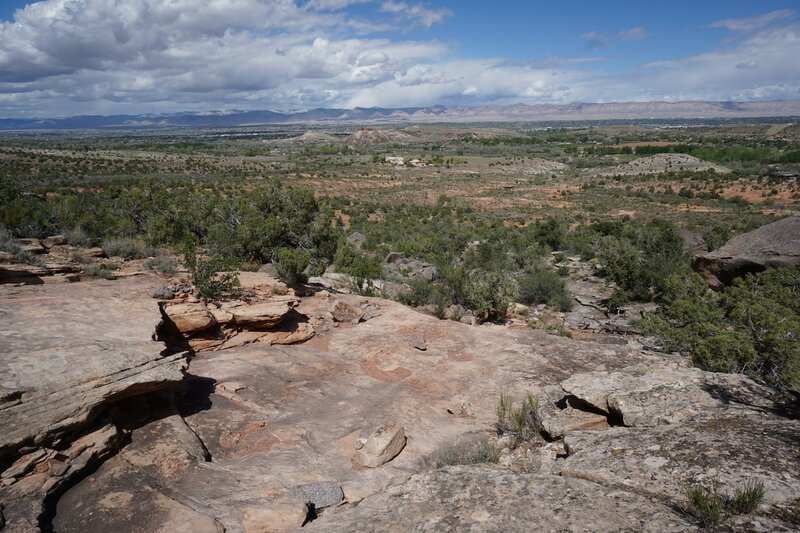 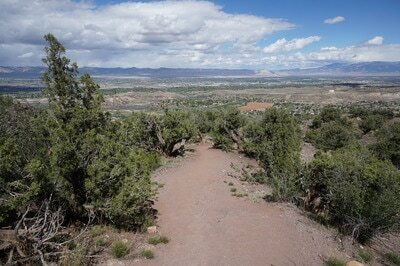 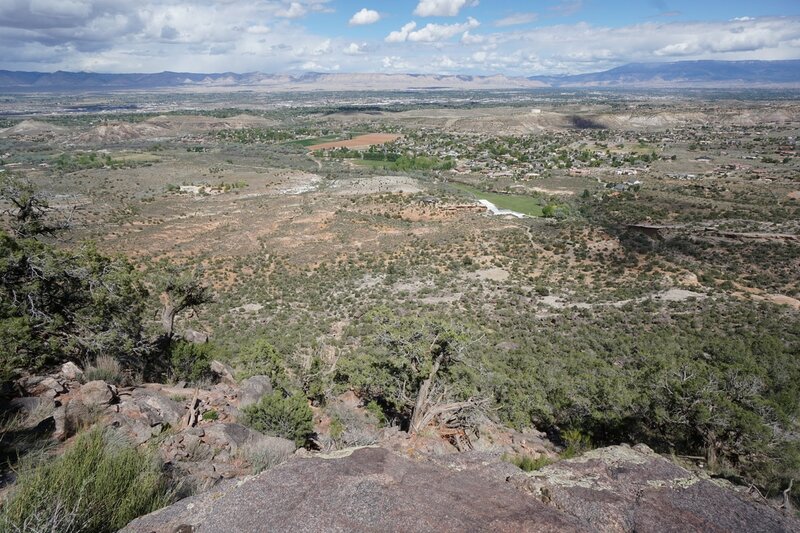 At the top of the ledge is the junction with the Ute Trail and the Liberty Cap Cutoff Trail. 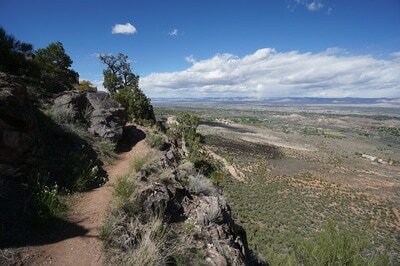 This section of the trail has stupendous views in all directions. 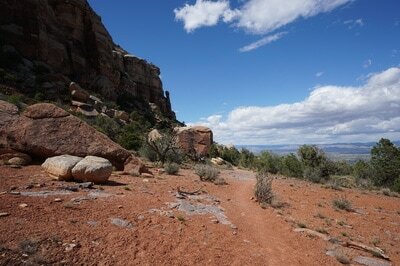 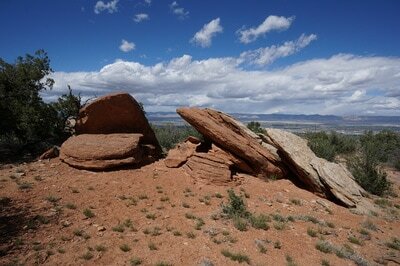 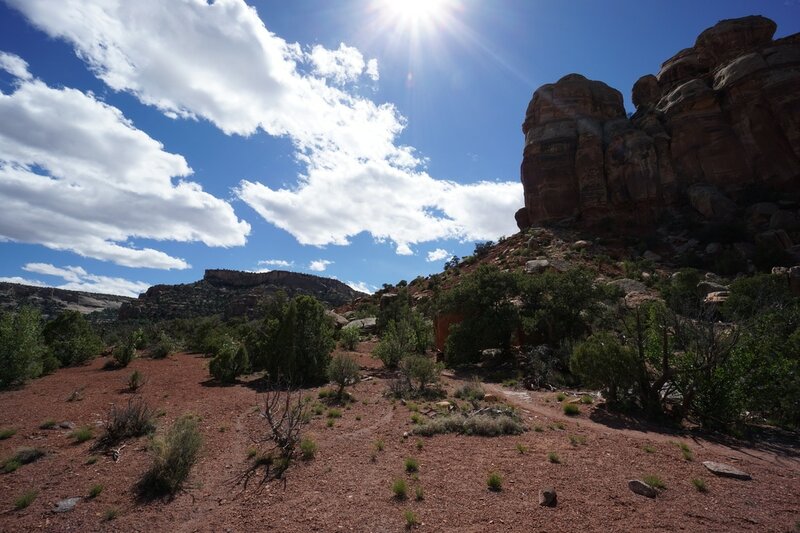 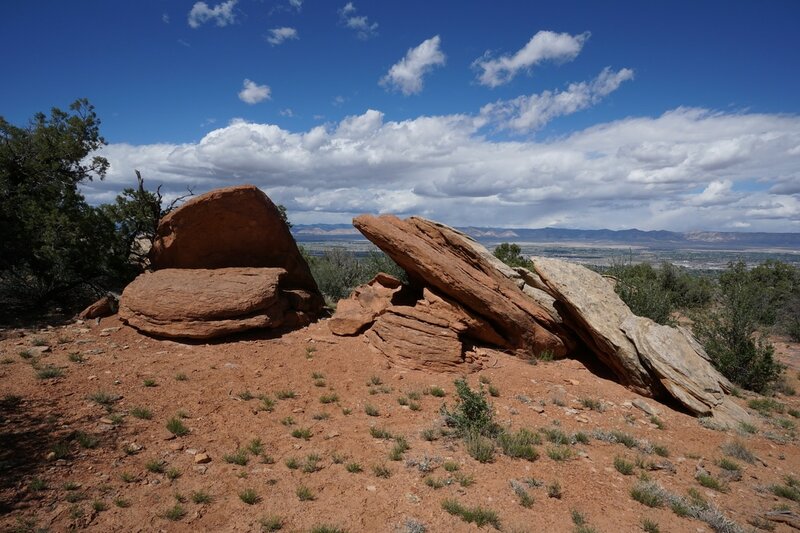 The red rock formations to the west will beckon you to explore the Ute Trail. 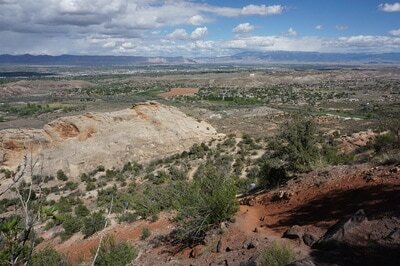 Ignore these urges (or don't...) and head north on the Liberty Cap Cutoff to the Upper Liberty Cap Trail junction. 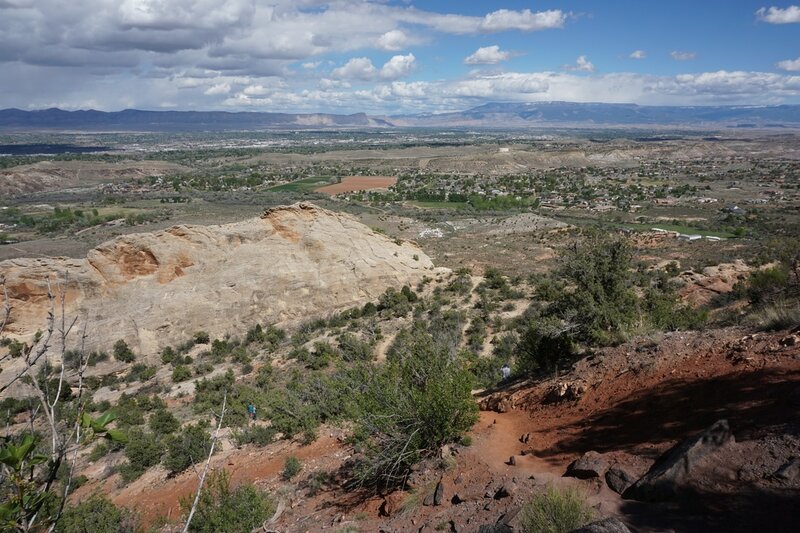 Again, you'll be tempted to head west up to Liberty Cap, ignore your temptations (or don't...) and turn right to start descending on the Liberty Cap Trail. 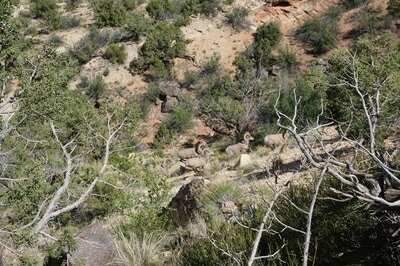 The descent is steeper that the Corkscrew Trail and heads down a small canyon to the desert floor below. Follow the Liberty Cap Trail back to the parking area.